From Ireland to Britain: Bikepacking on the Wild Trails of Britain takes you & your bike on the most beautiful multi-day rides in Wales, Scotland and England. Bikepacking is a big trend these days (check the The Bikepacking Framebag Manufacturer List to see how to transform your bike into a bikepacking rig) so it was a nice surprise as I was contacted by Wild Things Publishing and a question if they could use one of my photos in the book. Sure they could! As a wee thank you they sent me a copy of the book, and as I love alternative travel guide books Bikepacking on the Wild Trails of Britain was right up my alley. It is another beautiful book that will inspire you to pack up your bike and head to Britain in order to ride one (or more!) of the presented trips. 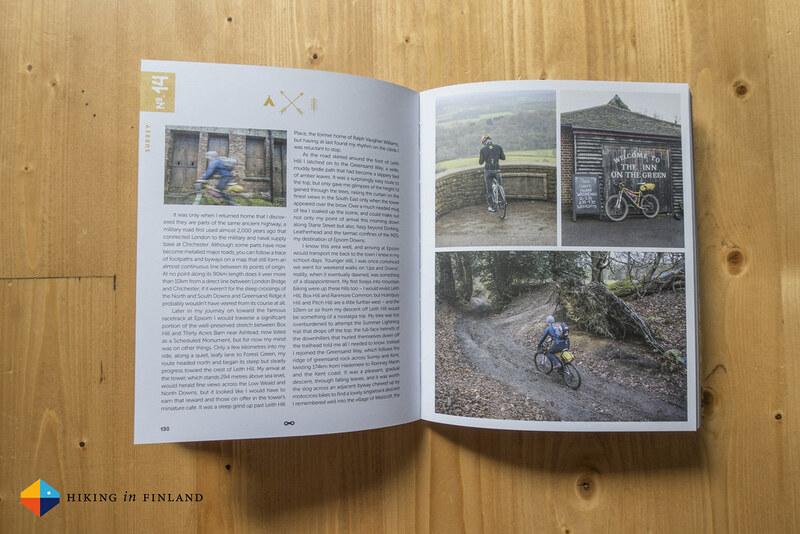 From Epic Wilderness Rides over Family Rides to Technical & Coastal Trails, the book presents 30 trips which range from a night to a week or riding in the countryside of Britain. The book starts off with an introduction to bikepacking and some history, some stories to get you in the mood, tips on gear - including a cool short chapter on tarps! - and how to plan a ride. In short: All you need to get on your bike and head out for a night or more in the wild. After the introduction it takes you on the different rides, which make up the majority of the book. These are sorted by regions in the UK - from the South East to the South West of England to the Midlands, Scotland and Wales. A map of the UK in the beginning highlights where these trips are to be found (good for planning) and a table on the next page gives quick overview of relevant data about the rides - including distance, ascent and how many percent of the ride are off-road. I loved the very well designed info boxes which had all needed information ready with one look, a small map which gave a good idea of the ride (though you’ll need a real map for your adventure) and the beautiful photos. The trip descriptions are entertaining little trip reports in their own which will make you anticipate your own ride even more. All in all a unique book that is beautifully designed & presented. 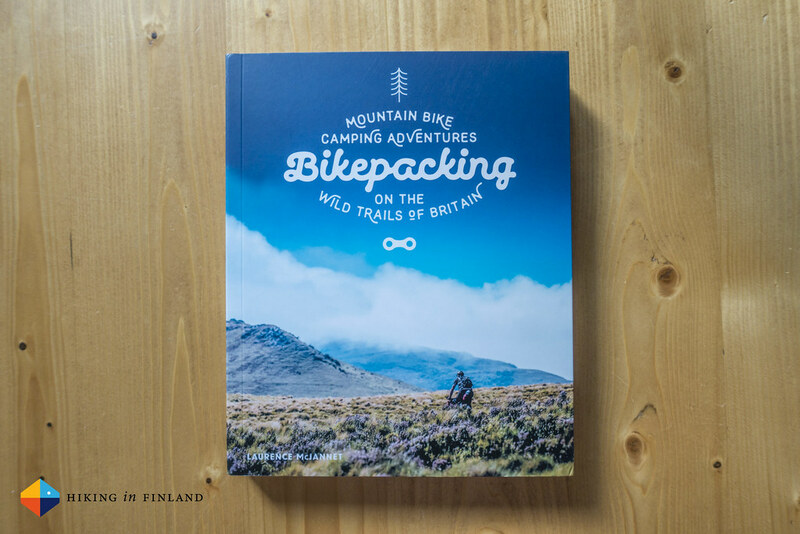 If you’re into bikepacking and want to go to Britain for a wee adventure or more, this book is a recommended read! Buy it directly from Wild Things Publishing or Amazon.com, Amazon.co.uk or Amazon.de.